Don’t worry about going to another dental office for specialized treatments - we have an expert periodontist on our team! We use the latest technology so you can stay right with us for any surgical placement of dental implants and all types of periodontal surgery and treatment. Implants are substitutes for the roots of missing teeth. They act as a "root" for the replacement tooth. The surgical placement of the implant is completed at Bococa Dental by our periodontist. 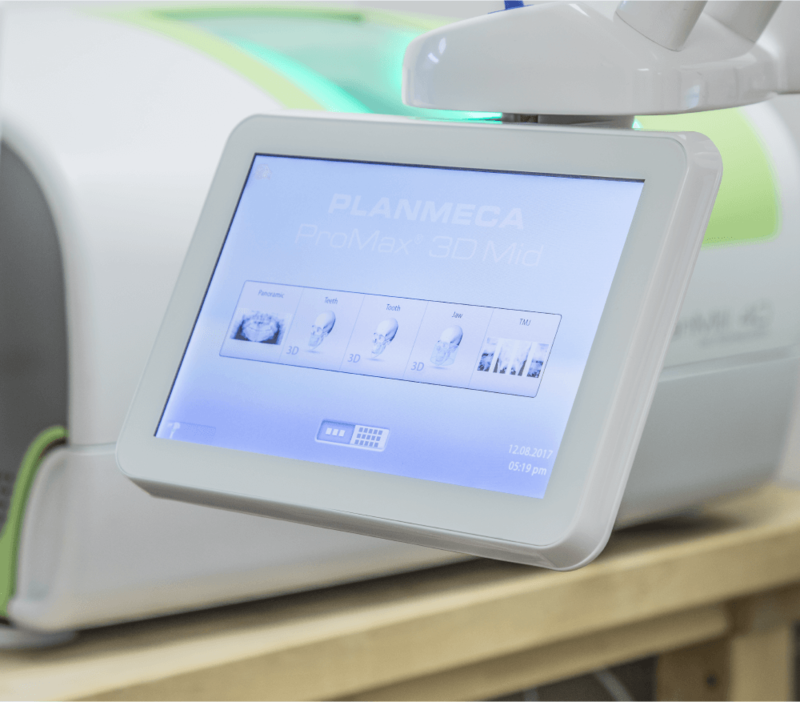 We have a digital 3-D x-ray machine (also known as a conebeam, or CT Scan) that can be used during the implant planning process. Once healing is complete, the replacement tooth is placed by Dr. Gangi. Sometimes a tooth can no longer be saved. An extraction would then be needed; this always is the last resort. When a tooth is removed, the goal is to maintain as much bone as possible for future implant placement or other restoration. This can be done with graft material which acts as a scaffolding for your bone cells to grow into and lay down new bone. Bone grafts can build up the structure that supports your gums when the loss of a tooth results in an indentation, restoring the contour of the tissue. Bone grafts may be placed under the sinus cavity, in the upper back area of the jaw to combat bone loss and in some cases, the sinus membrane must be lifted out of the space in order to have enough bone present for implant placement. Osseous surgery has been the gold standard in periodontal care for the past 20 years. This technique consists of open debridement of periodontally infected teeth, removal of bacterial toxins from root surfaces, and removal of diseased tissue from the teeth and adjacent supporting bone. Gum disease, traumatic bites, and tooth clenching and grinding can often result in receding gum lines. We can can cover exposed tooth roots with gum grafting, utilizing your own healthy tissue. If you have excessive amounts of gum tissue covering your upper front teeth leaving you with a “gummy smile,” this can sometimes be treated with the periodontal recontouring of that area. If you have wide periodontal pockets, formed from prolonged gum infection, a gingivectomy may be the solution. This procedure removes diseased tissue and reshapes the remaining healthy tissue, restoring previous healthy gum levels. Sometimes in order to save a tooth, more of the tooth structure needs to be exposed. This is done by removing a specific amount of bone from the circumference of the tooth or teeth that we are trying to save.